Gun Wielding Speeder Arrested in Polk County, LIVINGSTON, April 28, 2012 - Shortly before 5 pm on April 28, 2012, a report came in to the Polk County Sheriff's Office of a speeding white Camaro whose driver was pointing an assault rifle at passing motorists. The incident began in San Jacinto County. A San Jac Sheriff's deputy was dispatched and crossed into Polk County in pursuit of the vehicle. According to witnesses, there were 2 white Camaros following each other. The vehicles were driving dangerously, and at a very high rate of speed (up to 90 miles per hour). The gun wielding Camaro was driven by Logan Scott Tarman, 18, of Kingwood. The chase ended just south of the Livingston City Limits on US-59 (north-bound side). Trooper Joe Cole and the Deputy from San Jacinto County pulled over the gun touting Camaro on a side road off 59, while Trooper Ramey Bass pulled over the other Camaro on the shoulder of 59 a short distance south of Trooper Cole. The Camaro with the gun was occupied by Tarman, and 2 unnamed passengers. Trooper Cole and the San Jac Deputy detained all three. Ultimately, the 2 passengers were released and driver Logan Tarman was placed under arrest by the San Jac Deputy and taken back to San Jacinto County where he'll be facing criminal charges. The other Camaro (stopped by Trooper Bass), produced one arrest. Passenger Mariah Nichole Rash, 19, of Humble, was found to be in possession of marijuana and possession of a prohibited weapon (brass knuckles). Rash was taken to Polk County Jail and booked in. A Deputy from San Jacinto County apprehends Logan Scott Tarman, 18, of Kingwood. Tarman was pointing an assault rifle at other motorists while he was driving. Trooper Joe Cole assisted. Cole also detained an unnamed passenger. A second unnamed passenger was temporarily detained. Trooper Cole pulled an assault rifle from the vehicle (9 mm). THERE WAS ANOTHER CAMARO: The other vehicle was pulled over by Trooper Ramey Bass. 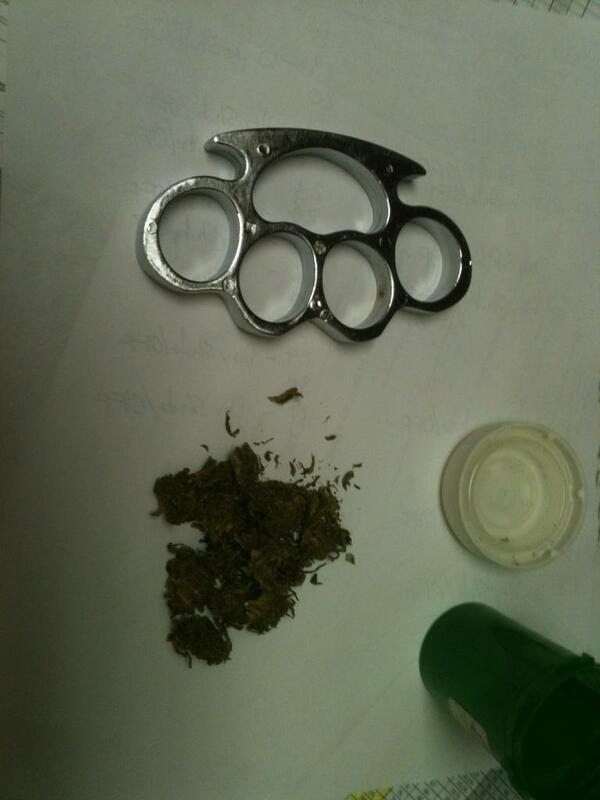 The passenger in that vehicle (Mariah Nichole Rash, 19, of Humble) was in possession of marijuana and brass knuckles. 19 year old Mariah Nichole Rash was in the other Camaro (stopped by Trooper Bass) and found to be in possession of the marijuana and the brass knuckles (brass knuckles are outlawed as a prohibited weapon). Logan Scott Tarman was escorted to the San Jacinto patrol unit and driven back to San Jacinto County where he'll be facing criminal charges for his assault rifle tricks. The 2 passengers were released. This unnamed passenger unloaded a large amount of beer (Budweiser and Shiner) out of the Camaro, and into the trunk of the San Jacinto County patrol unit.